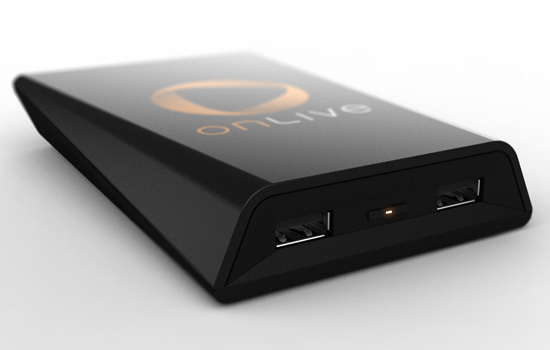 OnLive is a new type of service that takes advantage of the push for cloud computing. Imagine being able to play all your games without any disks or hard drives and on a console about the size of a laptop hard drive. 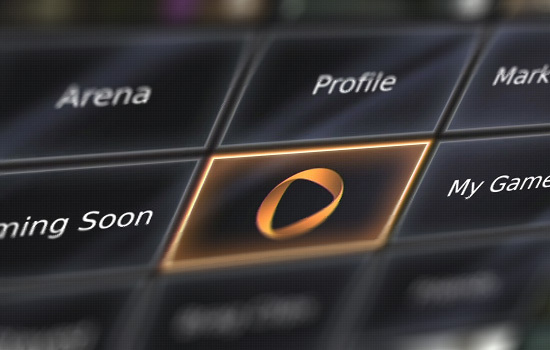 This is what OnLive promises, as well as gaming on devices like the iPad and Android tablets. It almost sounds too good to be true, and that is why I got my hands on the service to try it out for you guys. The first thing I did was download the OnLive app on my MacBook Pro. I was pleasantly surprised when I discovered that the service and computer and tablet apps were completely free. There are no monthly charges; this astounded me, and I’m still not sure how they can get away with offering the service for free. You have to create an OnLive account, which is just your email and a password, and it lets you log in from any eligible device and keeps your library of games and saves synced across all the devices. The way OnLive works is really smart and actually pretty smooth. Basically what you’re doing is playing a game on their servers, and having the video streamed back to you. This means that the beefiness of your computer isn’t quite as important as it used to be (don’t let this statement fool you, though; it does have an effect). Because you’re streaming everything, the better your internet speed, the better the game’s performance. I’d like to point out that OnLive has spectacular customer service. I usually try and keep my business only with companies that prove that they put their customers first. 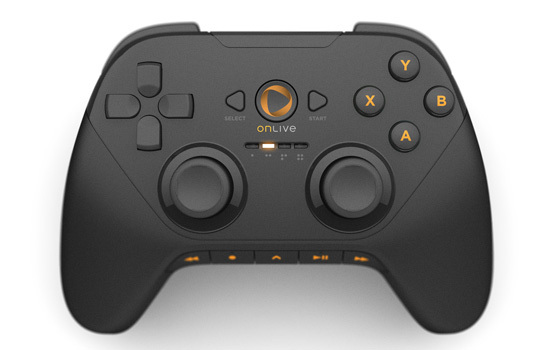 I’ve found that the most effective way to get support is to hop on Twitter and point your concerns to @onlive. They usually respond within the hour and are willing to go above and beyond to keep their users happy, and I love that. 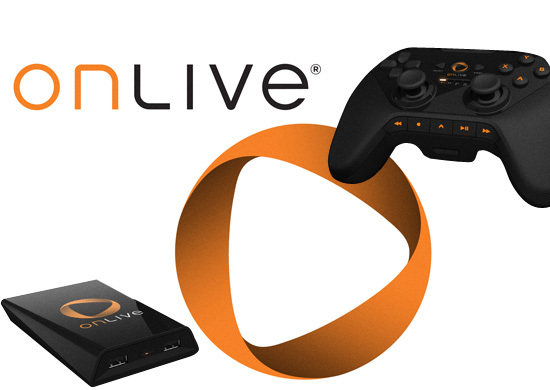 OnLive allows you to play their library of games on any Windows or Mac computer, iPad or Android tablets, and their OnLive branded Micro Console. I have a 2008 Unibody MacBook Pro with a 2.5GHz Core 2 Duo. This machine was awesome back in the day, but it has begun to show its age recently. Despite my computer being a bit underpowered by today’s standards, playing games with the OnLive service was a very pleasant experience. If you play games on your PC often, then you’ll love it; however, I’ve always preferred a controller, so I found it a bit bothersome to play top-tier titles on my keyboard. The Mac and Windows app does also include support for third party controllers. It’s also worth noting that I was playing on a 20Mb/s connection from Comcast. Performance on the Mac was impressive, and the UI is pretty keyboard-friendly. The fact that they included both the ethernet and HDMI cable made me really happy because most companies will just make you go buy your own. When you boot up the console and sign in, you’re presented with a grid of tiles allowing you to pick between your games, the marketplace, the viewing arena (where you can watch other people playing their games), and more. Most of the time, I just go straight into my library of purchased games, pick one, and dive right in. The games have graphics that are almost on par with the Xbox 360 and PlayStation 3. For me, it was similar to playing a game on a PC whose specs were just over the minimum. The shading and texture maps were great, but it seemed like the polygon count was a bitter lower than the dedicated console counterparts. I haven’t asked OnLive, but it is possible that the games could look better the faster your connection is. OnLive also has great multiplayer with a pretty good community. One of the best things about it is that you can play multiplayer from either your Micro Console or your Mac or PC. The controller is surprisingly good. It is well designed but its build quality just isn’t quite the same as Xbox or PS3. It is better than, say, a MadKatz controller, though. It has a good weight and most of its functions are smooth. The only thing I noticed is that the sensitivity of the joysticks isn’t as tight as I’d like it to be and the triggers feel kind of cheap. The button layout is almost the same as the Xbox controllers, except the left joystick and D-Pad switched places. Overall, OnLive is an amazing service that I highly recommend. Playing on the Micro Console on my large HDTV, though, left a bit to be desired. It was easier to see small flaws like blurriness of pixels on the big screen. The great thing about OnLive is that they always seem to be having promotions where you can get the Micro Console for free if you pre-order some game. At that price, it’s hard to say no. Their current library is a bit small, but is obviously starting to grow rapidly. I love using the console to get older titles for cheap, like Assassin’s Creed 2. If you don’t already have a console and are wanting to play games and save clutter by not having discs, OnLive is the absolute best way to play in the cloud.